Treat yourself to delicious cold brew iced tea! 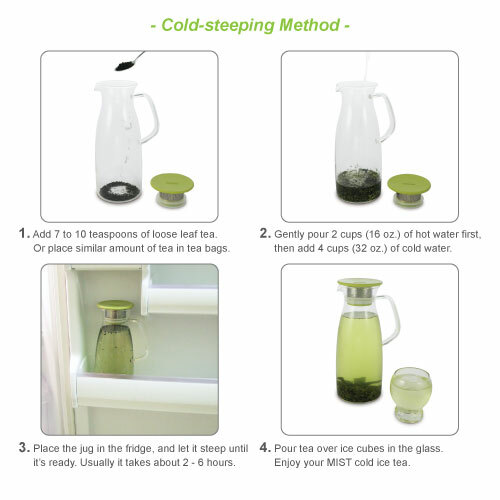 Enjoy deeper and subtle flavor of tea by cold brew method. 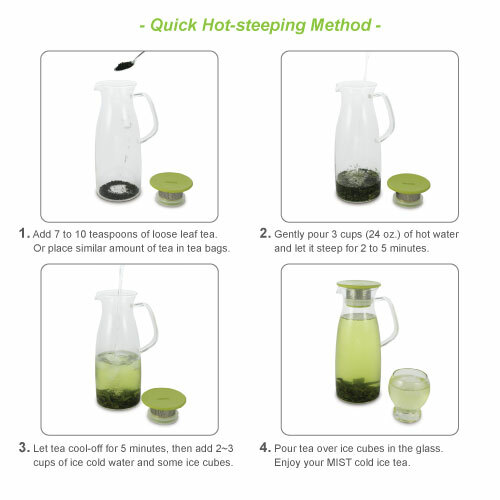 Serve iced tea quickly by the traditional hot brew method. Comfortable to pour with easy-grip handle. The filter cap prevents inside content from spilling out. Large opening allows for easy cleaning. Glass jug is made of thermal shock resistant borosilicate glass. Dimensions: 6.75" wide with handle, 5.25" diameter base, 3.25" diameter top opening and 9.5" tall.